Liverpool find themselves top of the Premier League at Christmas, which is thoroughly deserved on their part. After all, Jurgen Klopp has his side grinding out results, importantly keeping clean sheets whilst boasting one of the world's most feared attacking trios too. They currently hold a four-point lead over defending champions Manchester City, whose 3-2 home defeat by Crystal Palace this past weekend has sent shockwaves across England's top tier. Could this finally be the Reds' year for ultimate success? We're a game away from officially being at the halfway point in the 2018/19 campaign and with that in mind, it's interesting to see Liverpool's progression under Klopp - after significant transfers - in recent seasons. First-choice goalkeeper Alisson and influential central defender Virgil van Dijk, who have both joined the club over the past year, combine for a whopping £142m. Should they win the league, their financial outlay will be worth it. During a title-winning season, you need to have some form of luck. Whether that be rivals all struggling at the start of the campaign, top players finding form quickly or a lack of injuries to your important players. Now, it would be cynical for me to claim Liverpool's success is solely down to having their best players fit and available every matchday. However, when you compare it with top opposition, that's the case. 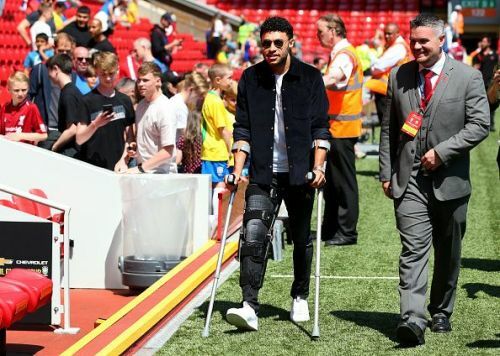 Joe Gomez (foot) is their only notable absentee that would be starting on a weekly basis, with the 21-year-old expected back sometime next month. Joel Matip (collarbone), Adam Lallana (groin) and new acquisition Naby Keita (muscle) have been struggling with niggling injuries, but none of them were heavily involved last season and it's not as though their absence has been a significant blow either. Tottenham have had Davinson Sanchez, Jan Vertonghen, Dele Alli and Christian Eriksen sidelined, Chelsea even had to deal with an Eden Hazard injury scare in October this term. But no rival has suffered from injuries as much as Manchester City this season. 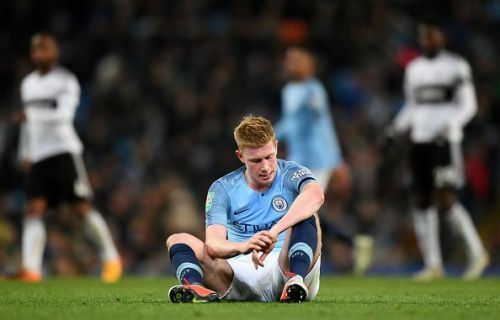 Benjamin Mendy (knee), David Silva (hamstring), Sergio Aguero (groin), Fernandinho (thigh) and most notably - Kevin de Bruyne's ligament injuries have seen him only play 124 Premier League minutes this term. He - alongside Aguero - are undoubtedly City's best players. With that in mind, could you imagine a Liverpool side in attack without Mohamed Salah and van Dijk for example? 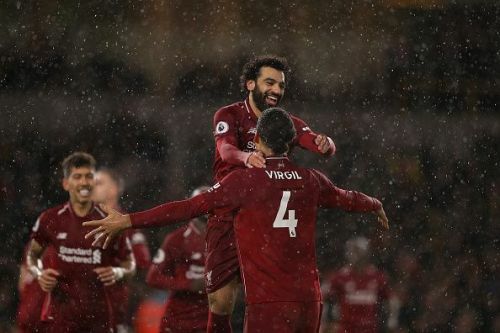 Their overall presence, even if not scoring (in Salah's case) or performing well defensively? Premier League 2018-19: Will there be light at the end of the tunnel for Liverpool this season?